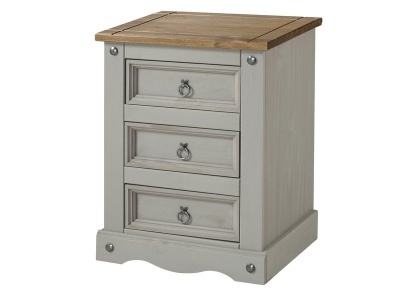 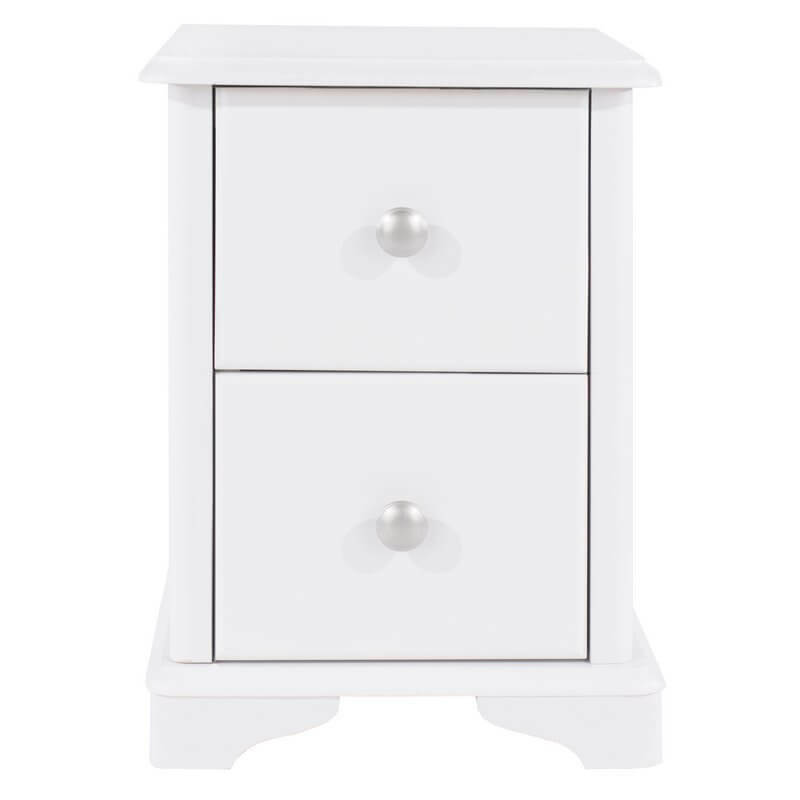 Crisp white painted finish of this compact bedside cabinet works well in a wide range of bedroom decor schemes. 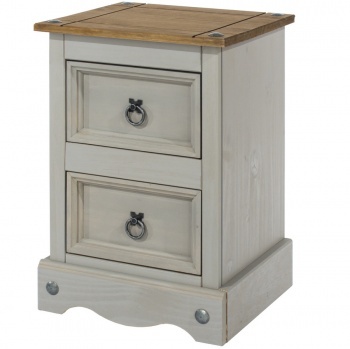 Two handy drawers are great for keeping bedside clutter hidden out of sight. 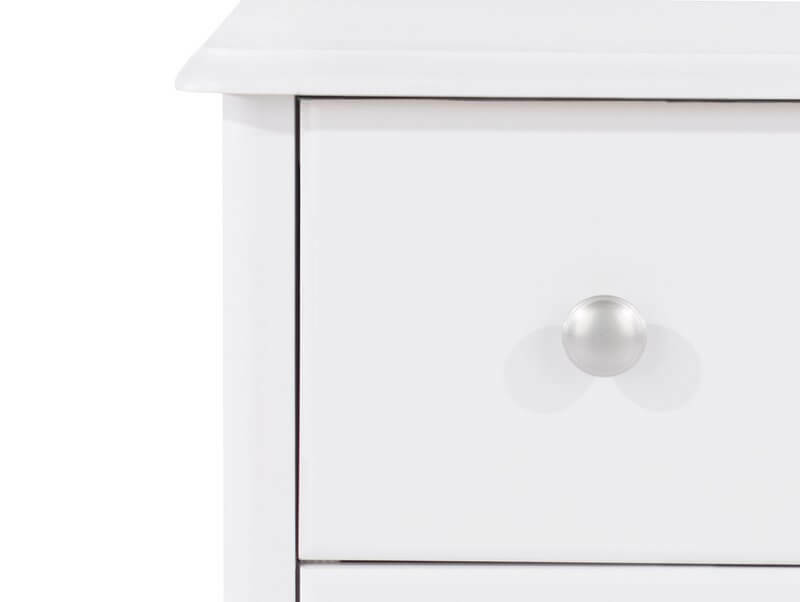 Contrasting metal handles add a sophisticated air. 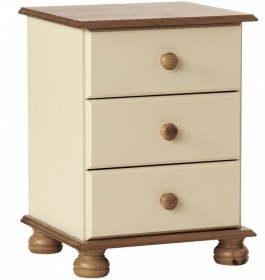 Soft moulding to the tops and shaping to the plinth give this range a timeless appeal. 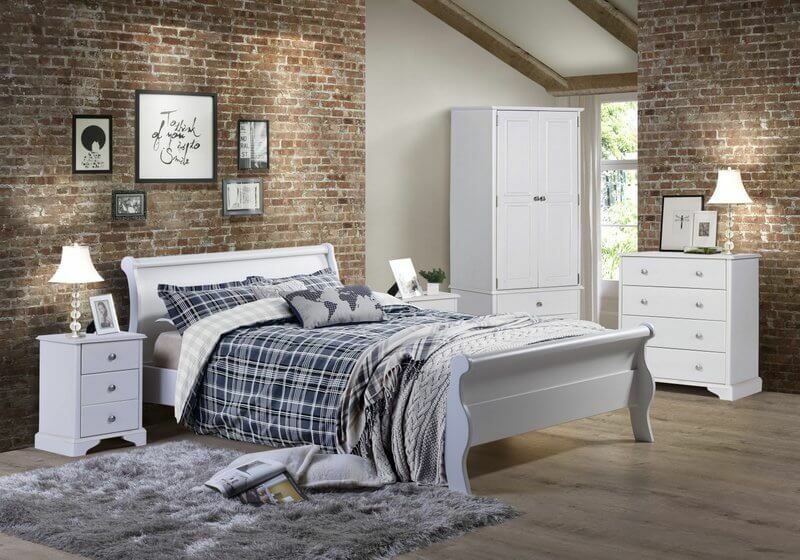 Mix and match with other pieces from the new Arabella white painted bedroom furniture range.